In the Beshara translation of ‘Kernel of the Kernel‘, the great Andalusian Sufi Ibn Arabi writes: “It is essential to know that as there is no end to the Ipseity [Selfhood] of God or to His qualification, consequently the Universes have no end or number, because the Universes are the places of manifestation for the Names and Qualities. As that which manifests is endless, so the places of manifestation must be endless. Consequently, the Quranic sentence: “He is at every moment in a different configuration,” (Q55:29) means equally that there is no end to the revelation of God.” (ch. 3, p10) Alternative translations suggest that Allah is always in a different “work” rather than “configuration”. Anyway, the point is that Beshara emphasises the Oneness of the universe with God. For Beshara, God is the substance of the universe. Everything we experience is God Himself in a different configuration. I would like to explore this idea, and contrast it with what I perceive to be the more orthodox Islamic interpretation that the Creator is separate from His creation. What does this imply about reality, about substance? If only God is Real, then anything other than God must be illusory. Does this mean that the creation is illusory? If we consider that “everything is perishing but His Face” (Q28:88) then this surely confirms that only God is Real, and that everything else, being impermanent, is illusory? 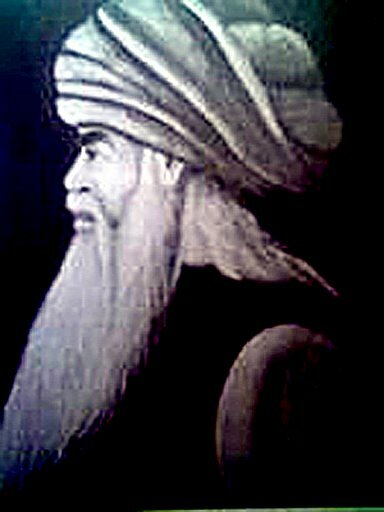 In ‘Kernel of the Kernel’ Ibn Arabi describes ‘five presences’ (ch 3), saying that all “these [myriad] universes are encompassed by the five presences”. The first presence is a station of God in which “no qualification or name is possible . . . Whatever word is used to explain this station is inadequate because at this Presence the Ipseity [selfhood] of God is in Complete Transcendence from everything, because He has not yet descended into the Circle of Names and Qualities. All the Names and Qualities are buried in annihilation in the Ipseity of God”. This station of Transcendence is how we think of God prior to creation. Moreover “When Hazreti ‘Ali heard the Hadith “At that time God was in a state such that there was nothing with Him.” he added, “Even at this moment He is still so.”” (ch 3). So Ali seems to be advancing the orthodox Islamic view of God as Transcending the creation. The subsequent presences are the creation, starting with the reality of Muhammad (2nd presence), the degree of the angels (3rd presence), the universe of galaxies (4th presence), ending with the perfect man (5th presence). Orthodox Islam would consider these separate from God, but Beshara considers them One with God. One Beshara friend used the analogy of water: the 1st presence is described as “the Ocean-Deep point” and the subsequent presences are Rivers and Tributaries flowing from this Ocean. According to this view, all the Presences have the same Substance: God. This Beshara view clearly emphasises immanence over transcendence. The strength of this view is that the mystical experience is one of closeness to God within His creation — the sense of immanence. However, I suggest that we can happily explain the creation as a series of signs pointing to God and the mystic as an adept sign-reader, so that there is no need to posit God as the Substance of creation. In fact, because the creation is illusory it has no substance, in my view. When I say that created things are illusory, the best comparison is a rainbow. A rainbow is an appearance that depends on causes and conditions: if the necessary causes and conditions such as sunshine and rain are gathered then a rainbow appears. All created things are like this: each depends on its specific causes and conditions, and the Primary Cause is God. If any necessary cause or condition is absent then the thing does not come into creation. Because every thing is impermanent, sooner or later one of its sustaining causes will cease and the thing will disappear. This is why everything is illusory. Another way of expressing the same idea is to say that created things lack essence. For example, if we look at a coffee table and we try to find its essence — the coffee table ‘in itself’ — we will not be able to find it. We might try to find this essence in the table legs or the table top, but we will not succeed. However, if we are satisfied with the mere appearance of the coffee table then it will function perfectly well for us: we can put books and magazines on it. By saying that things are illusory I am not saying that they don’t function. We may dream about driving a car, and the dream car may function perfectly as a car, but when we wake up we realise it was an illusion. These lines of reasoning come from the Buddhist tradition, but I believe they are universally valid. When God finished the Quran by saying “This day I have perfected your religion” (Q5:3) He did not negate all the truths of previous religions. I believe that Islam contains or is compatible with all the key truths of the previous great religions such as Buddhism, Taoism, Hinduism, Christianity and Judaism. One of Buddhism’s key strengths is its path of negation (via negativa), its philosophical reasoning that challenges our sense of what is fixed and strips away illusion, leaving . . . emptiness. This emptiness is a negative phenomenon (a lack or void) without positive qualities or attributes — we cannot say (predicate) anything true about emptiness. As emptiness is the ultimate truth taught by the Buddha he could not describe himself as a Prophet — how can there be a Prophet of emptiness? So, created things are illusory because they arise in dependence upon their causes (including God), their parts and their names. Nevertheless, we do not normally relate to things as illusory. in fact we often grasp at created things as permanent, having fixed essence or self, as independent, and existing from their own side. According to Buddhism this self-grasping ignorance is the origin of suffering and the engine of samsara / maya. From a Sufi point of view, if we use the example of our self, we see that our mistaken view of our self as independent from God, as existing from its own side, is the ignorance which obscures / prevents gnosis. Only if this false view of self is annihilated (fana) by God can we come to know God. We can see clearly that God is not one with the false self which we perceive in ignorance. This same reasoning applies to all our other mistaken perceptions: insofar as I perceive trees, cars, tables etc as existing independently of God then I am mistaken – I am perceiving things that don’t really exist – I am trapped in maya. However, if I negate my mistaken perceptions, and come to see the trees, cars and tables as depending on God, then my awareness is correct. In his book “Indian Philosophy” (p215), Richard King succinctly explains the concept of oneness according to Advaita-Vedanta. Taking the word Brahman as meaning God, the passage supports your view of the world as unreal if seen as independent of God, but real if seen as dependent. The passage also seems to support my view that we must negate the unreal before we can perceive the real. The challenge, as I see it, is to strip away the mistaken appearance of independence from practical [level 2] phenomena. In Buddhism this mistaken appearance is known as ‘dualistic appearance’ because practical truths normally appear mixed with a mistaken appearance of independence. They must undergo a process of experiential negation / deconstruction / annihilation before they can they appear unmistakenly as mere practical truths, mere dependent arisings.